Portland: Century Plaza/23-29 Marginal Way, Class A Retail. One space available 1,300 Square Feet. MORE DETAILS HERE. For leasing information, contact Joe Porta at: Joe@PortaCompany.com. Sanford: Sanford Mill (61 Washington St, Sanford, ME), 1st floor restaurant space 4,250 Square Feet. 1st floor retail, office, or special purpose space 7,130 square feet. For leasing information, contact Suzanne McKechnie at: SMcketchnie@investcomm.com. 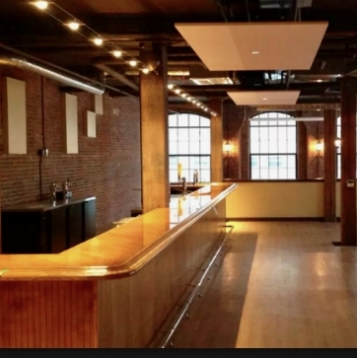 Portland: 380 Cumberland Ave, Second Floor Commercial Office Space: 4,358 Square Feet. Can be rented in full or divided. For leasing information, contact Jennifer Nale at: JNale@PortaCompany.com. Portland: 622 Congress St, Finished office space ready for occupancy. Second Floor: 2,420 Square Feet. For leasing information, contact Jennifer Nale at: JNale@PortaCompany.com. Portland: 340 Cumberland Ave, 4 Floors of Data Center Building. Each floor is 5,772 Square Feet. One floors is already fit out for a data center user. For leasing information, contact Joe Porta at: Joe@PortaCompany.com. Portland: 1 Marginal Way, 90,000 Square Feet redevelopment, planned delivery Summer 2022. Commercial office space with structured, on-site parking. For leasing information, contact Joe Porta at: Joe@PortaCompany.com. RESIDENTIAL LEASES: Apartments are available in several properties in Maine and New York. CLICK HERE for current opportunities.